Yes it is Open-Source. The driver source code is available in the paparazzi GitHub repository. For more information look in the Wiki. Thanks esden, but I meant the hardware, not the software. Where are the Eagle files? P.S. 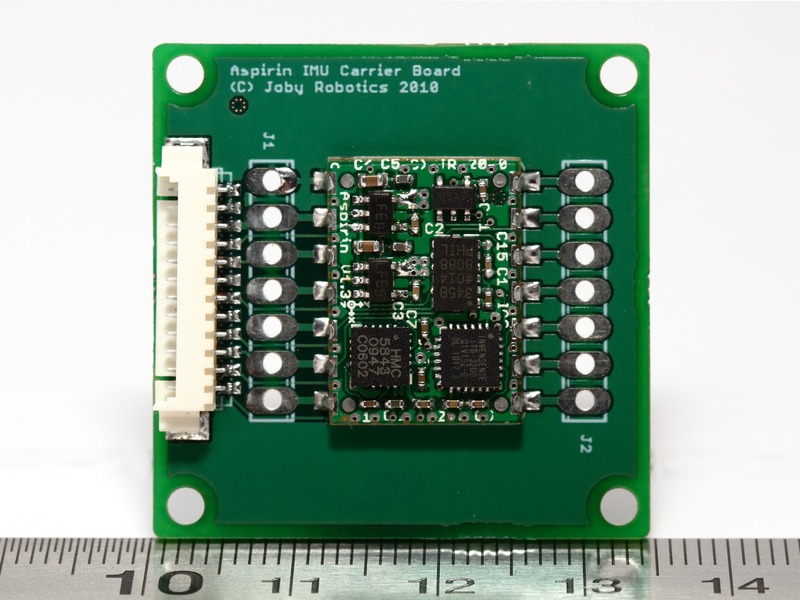 Aspirin is not a “Paparazzi” design as such, it was developed at Joby Robotics with close collaboration with Paparazzi community. It may have not been reflected by the article properly for some readers. but why does the chip on the photo say ITG-3200? You did a wonderful job, congratulations! but … IMU3000 you used as a simple gyroscope. In truth IMU3000 is a sensor fusion and contains a DMP Digital Motion Processor can calculate quaternion, rotation matrix and other complex functions independently. Unfortunately it is very complex because you use it INVENSENSE does not release specific information. Thanks to some “knowledge” I managed to get the Motion Processing Library for XMEGA (INVENSENSE original) but I need help to use them on Arduino system. Can you help me? Thanks……. Are you quite sure the HMC5843 is wired correctly? According to the schematic, pin DVDD is connected to +3V3, while according to Honeywell’s admittedly crappy datasheet, it should be tied with pin C1 and connected to ground through a capacitor. According to the datasheet, when VREN is tied to AVDD, the digital logic part is powered from an internal regulator. This implies that by connecting DVDD to +3V3 you are connecting the output of the internal regulator to +3V3, which sounds quite bad. Looking closer, the bypass capacitor values for the VDD and VLOGIC pins of the gyro seem to be switched compared to the datasheet. 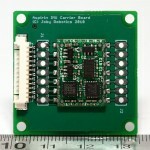 Hello, it’s noted that you use IMU-3000, but in the picture it seems to be an ITG3200, what’s used on the board? The picture is of a little bit earlier board. Currently we use IMU-3000 on Aspirins.